Jerry from keller, Wayne from Manhasset & 1 other bought this item recently. 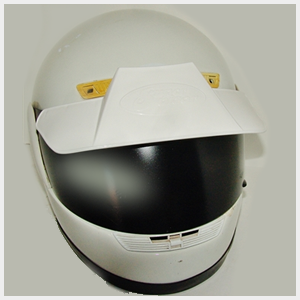 Made out of DOT-approved plastic and engineered to precision the aerodynamic styling will improve the look of most helmets and help reduce road wind noise from your current helmet. Super-Visor Blocks the Sun from blinding you. Super-Visor Blocks Rain from blurring your vision. 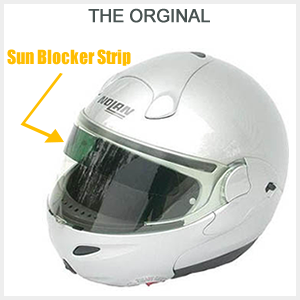 Super-Visor Blocks Light from filling micro scratches at night. Super-Visor Blocks Overhead lighting from blinding you at night. 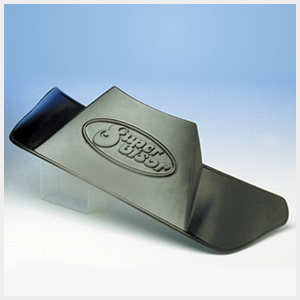 Super-Visor is Vented to stream air into your helmet vents. 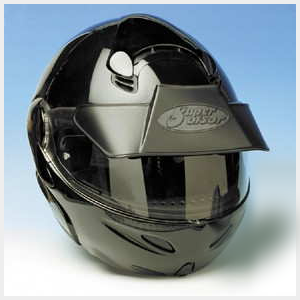 Super-Visor Center Vented airstream also intercepts left and right side airflow crashing to to reduce or stop helmet buffeting and noise.